We are a liberal religious community of faith, where young and old, partnered and single, gay and straight, skeptic and believer, people of every race and background come together to help build a community where love can grow. We believe in truth, love, justice and the inherent worth of every individual, and we invite all who share these values to join us. 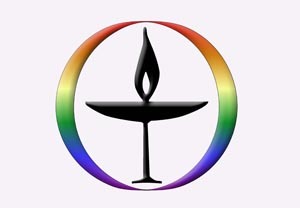 In March 2005 our church was officially recognized by the Unitarian Universalist Association as a “Welcoming Congregation,” a designation signifying our completion of a UUA-prescribed program to become more inclusive toward lesbian, gay, bisexual, transgender and/or queer people. Our effort was spearheaded by our former minister, the Rev. Bill Haney. Since then we have often used the welcoming words shown above at the beginning of our worship services. 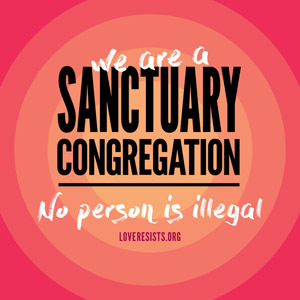 More information about the UUA’s Welcoming Congregation program. For centuries, the church has been a leading force against sexual minorities. It is not surprising that gay people are reluctant to reach out to the very institution that oppresses them. Yet, gay, lesbian, transgender, and bisexual people have no less need for warmth, caring, and affirmation than anyone else who calls the liberal church their religious home. In fact, as a subculture in society gay, lesbian, transgender, and bisexual people may need our support more than the general population. Participated with the UUA in recognizing February as a time to support the needs of our LGBTQ members and friends. Housed The Center Project for the local LGBTQ community in our church until it was able to raise enough funds to open its own separate office. 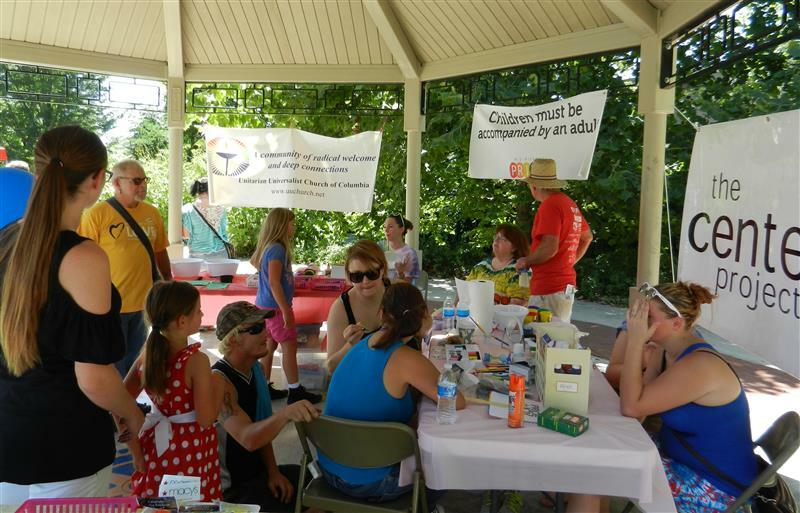 Hosted celebrations, meetings, and education events for and in conjunction with PFLAG, PRISM, and the Mid-Missouri LGBT Coalition. Received a Catalyst Award from the MU Resource Office for “speaking out and often” on LGBTQ issues. Organized worship services and sponsored and hosted programs on LGBTQ issues. Maintained a presence at the annual Columbia PrideFest. In addition, individuals from our congregation are involved in many groups, events, and training activities related to LGBTQs. From April 2005 to February 2010 our church had an Interweave group focused on the spiritual, political, and social well-being of UUs confronting oppression as lesbians, gay men, bisexual persons, transgender persons, and their heterosexual allies. Our Interweave group is no longer active, however, because our overall Welcoming Congregation program has developed to the point where LGBTQ issues and concerns are routinely being brought to us by the congregation at large. Information about the national Interweave organization can be found here, along with issues of its monthly Interweave Newsletter.